I was training hard with the Nashville Rowing team and while I felt strong, I was getting back injuries, not losing any weight and burning out. I knew I needed to do something different. I was looking for a personal trainer and nutrition coach and my chiropractor told me about TNB. TNB was exactly what I was looking for and so much more. I had never done a Functional Movement Screen and I was so impressed with the time that Tash took with me to understand my history, expectations and goals. It was a bonus for me to learn that TNB is a woman-owned business that helps other women through The New Beginnings Center and I wanted to support that. I feel fantastic! I feel so much stronger and leaner than before. I’m more aware of areas of my body that need work that I never knew were issues. I love coming to each training session and I feel so energized after every training session. I am so much more in tune with my body and I feel like I’m making changes that will help me for the rest of my life. The nutrition coaching has helped me become more aware of what I’m eating and find the right ratio to fuel my body. The individual training plans are filled with a variety of exercises that keep me interested and I can already see and feel the progress with increasing weight and better mobility. I am becoming more confident about using weights and kettlebells because the trainers are right there teaching me and making sure I am using them correctly to avoid injury. I’ve even become a morning workout person and I never thought I would say that! Just do it! Tash, Gabe and the entire team are so helpful and knowledgeable. The individual training plans combined with the supportive environment make it a really unique experience. It’s the best thing I have done in a long time and I highly recommend it to everyone. Complete this sentence - TNB is "Life-Changing, Empowering and Fun!" Sometimes the best hacks in life are the simple ones; little modifications you never thought of but completely make sense once somebody teaches you. These simple tips and tricks will upgrade your choices, habits, postures, preferences and overall lifestyle. Learn how to be in control of your own energy, stress, flexibility and how your body feels. You have what it takes to be in-control of how you feel. Feel young again! Dr. Hasenbank’s goal in life is to help others move better and hurt less. He has a passion for empowering patients to be in control of their body by utilizing self-assessment and self-directed therapy. He teaches them how to reset their tight muscles, release their myofascial adhesions and reprogram their poor posture, habits and movement patterns. He graduated from Texas Chiropractic College and is a Certified Chiropractic Sports Physician and Functional Movement Specialist. He is trained in Strength & Conditioning, Corrective Exercise, Active Release, Assisted Isolated Stretching, Instrument Assisted Soft Tissue Mobilization, Dry Needling, Electro-Acupuncture, Cranio-Sacral Therapy, Spinal and Extremity Manipulation. He has been in private practice for 17 years and worked with athletes in the NFL, NBA, MLB, PGA, NCAA & Olympics. He has also been able to care for some of Nashville's top musicians, performers, and tour with Kenny Chesney. I would like to thank you all for the wonderful opportunity provided to me as a result of your contributions and commitment to the mission and vision of TNB Fitness and The New Beginnings Center. As a result, I have grown and discovered that I am stronger than I thought I ever was. More so, I did not do it alone. The coaches, Tash and her staff gave me the extra push and support I needed to realize a dream come true. They were very mindful of our emotional and physical abilities when encouraging and working alongside me and the other women. By accepting the admission into this program, I was asking for help. I entered with fear and apprehensions, fear of facing myself and what was ahead of me of which of so eloquently eased by the staff. However, I answered the call to The New Beginnings Center’s mission and vision to help me where I was stuck, and that it did. Most important, I did not have to do it ALONE. As a result of your contributions, I have lost 15lbs. and my blood pressure medication was adjusted because of it. I gained strength, courage, and wisdom. I am a Living Testimony of The New Beginning Center’s Mission and Vision. It has touched me in a way that I realized is bigger than myself, in that I have made new relationships and bonds with beautiful, kind, and wonderful women who have shared some of the same struggles as myself. 1) Heat the oil in a medium sauté pan over medium heat. 2). Add the chopped green onions and cook for 2-3 minutes, until they begin to soften, but do not brown. Add the carrots and ginger and sauté for another 1-2 minutes. 3). Turn the heat up to medium high and add the ground turkey. Cook, breaking up the meat as needed, until the meat is fully browned, 6-8 minutes. 4). Add the water chestnuts, Amino Acids or soy sauce, toasted sesame oil, and red pepper flakes to the meat mixture and stir until well combined. Cook until the liquid is mostly evaporated, about 2-3 minutes. Remove from the heat and fold into the cilantro. 5). Use a slotted spoon to drain and scoop the filling into lettuce cups. Serve warm. 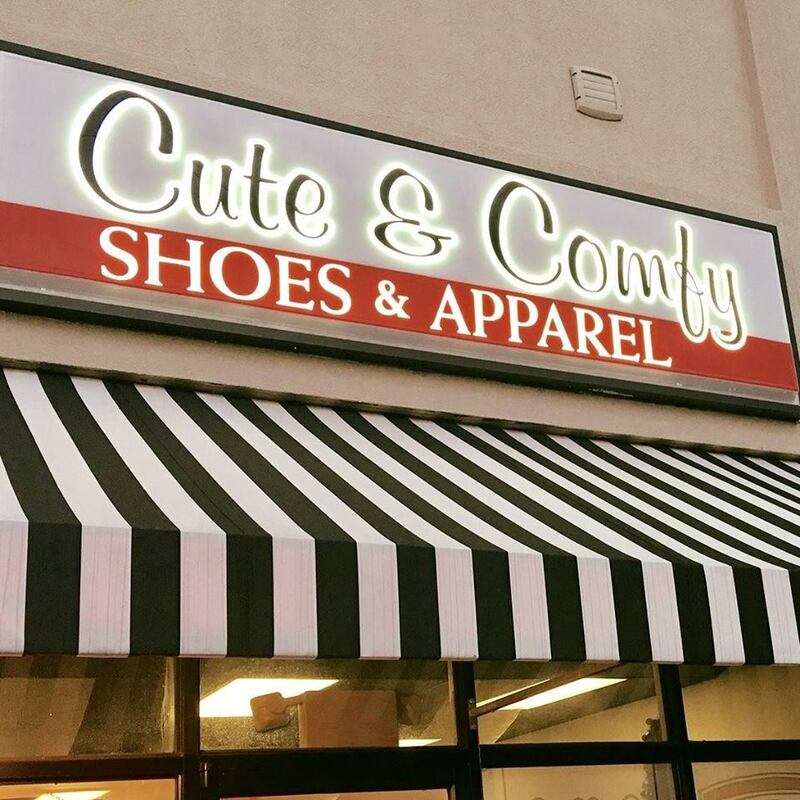 Fashion Show & Shopping at Cute & Comfy! Join us for a fashion show and shopping event to benefit The New Beginnings Center! Come get first look at Spring items and enjoy some light refreshments while you do!